Entangled Biome is a full spectrum CBD oil farmed and produced in Eugene, Oregon by Dean Foor and Emmett Black. I had been researching CBD oil for well over a year, trying to find an organic brand that I knew I could trust. Because everything we ingest and put on our skin goes directly into our blood stream, therefore, our BRAINS, I knew I wanted a quality product that I could rest assured was safe and toxin free. At the Utah Brain Injury Conference I met a guy named Joe who introduced me to Entangled Biome. I gave the 900mg tincture a try that evening before bed and a slept like a baby — wanting to make sure it wasn’t possibly a fluke I continued to try for over a month. Every evening before bed I would take one measured squirt under my tongue … if I found I was having trouble falling asleep I would take another squirt. Or if I woke up in the middle of the night and was wide awake I would take another squirt. I have found that I consistently am sleeping like a baby using this product. I am also using the CBD salve and massage oil to rub into any painful spots on my body — mainly my neck that has three bulging discs. I am finding great relief from my pain when I use these products. They also make bath fizzies, soaking salts, as well as a product line for pets! 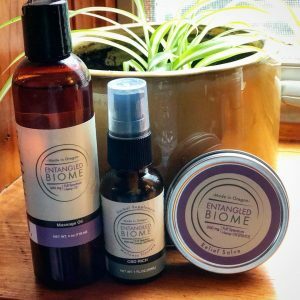 They are offering my readers a 15% discount on your first order with coupon code: 15Tribe2018 visit www.entangledbiome.com to order — I make no money off their products, I just want to share a safe, quality product with you!! Hemp derived CBD oil is made from the Cannabis plant with less than .03% THC and is legal in all 50 states. What is full spectrum hemp oil (FSHO)? CBD is one of the constituents found in the Cannabis plant. Full Spectrum Hemp Oil leaves intact the natural entanglement of all phytocannabinoids and terpenes. It is the belief of OM Hemp that the Full Spectrum of phytocannabinoids is responsible for the relief in discomfort that so many users report, and not just an isolate or a discrete cut around CBD, as many supercritical or subcritical CO2 extraction systems provide. 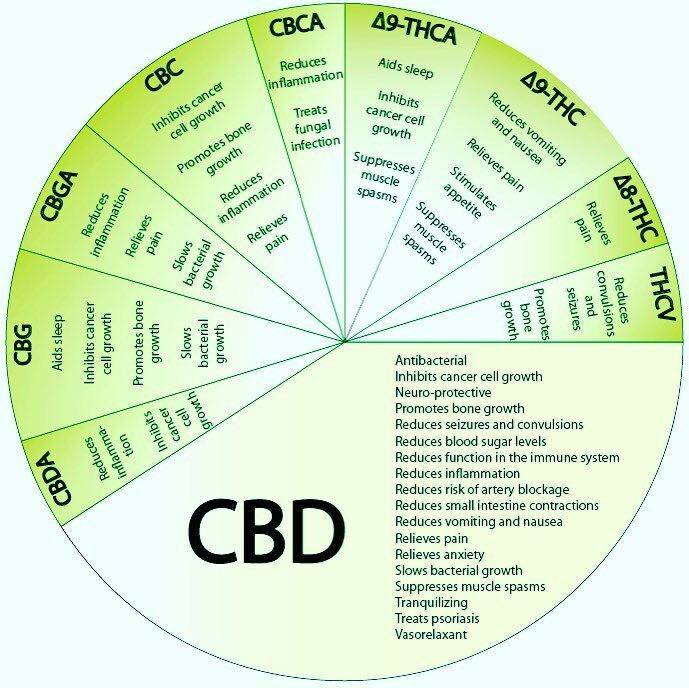 The Full Spectrum includes all naturally occurring phytocannabinoids and terpenes such as (not in any particular order, nor a comprehensive/exhaustive list): Cannabidiol (CBD), Cannabidiolic Acid (CBDA), Cannabinol, Cannabigerol (CBG), Cannabigerolic Acid (CBGA), Cannabichromene (CBC) and as well as Tetrahydrocannabinol (THC), Tetrahydrocannabinolic Acid (THCA) and Tetrahydrocannabivarin (THCV). 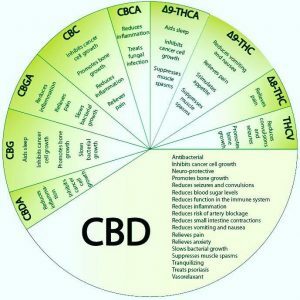 Why use full spectrum CBD oil? The use of Full Spectrum Hemp Oil allows for what is known as the ‘Entourage Effect’ or sometimes described as a ‘Therapeutic Ensemble’. The ‘Entourage Effect’ is the belief that the full array of phytocannabinoids and terpenes when together, work synergistically, or, in concert, providing more pronounced beneficial effects than just one isolated compound. Those seeking relief may miss out on that very effect if only CBD isolate or a discrete cut around CBD is administered. By formulating products that use Full Spectrum Hemp Oil, the entangled phytocannabinoids and terpenes can interact and entangle with the naturally occurring endocannabinoid system found in humans. Processing of the industrial hemp involves ethanol extraction. This method is the preferred method by OM Hemp because of the nondiscriminatory extraction of all phytocannabinoids and terpenes present in the trichomes of the industrial hemp. The extraction wash is then routed to our Rotary Evaporator. The Rotary Evaporator is effectively a laboratory grade still. The Rotary Evaporator is filled with the extraction wash and the ethanol is recovered leaving the Full Spectrum Hemp Oil. Internally enforced quality assurance and quality control steps are followed to exacting standards to provide the safe and quality product that OM Hemp promises to deliver. Our industrial hemp is sourced locally, near Eugene, Oregon. The source farm has received an Organic Certification from the USDA. What does all this mean? It means that we at OM Hemp believe in, demand, and verify quality. This verification and validation of quality is paramount to OM Hemp. The products we produce are tested and used by us and our loved ones. That last point should make it clear that we have just as much of a stake in the purity and quality of our products as anyone else who has chosen to use those products. We fully intend, and do not take lightly, being the stewards of safety and quality of our products, for us, our loved ones, and anyone else who has put their faith in us to deliver safe and quality products. CBD isolate or other CBD compounds can be purchased abroad in such places as China, the Netherlands, South America, and various locations in Europe that are used in making the products of other companies. However, we at OM Hemp find comfort in our quality assurance and quality control because we personally visit the source farm and have face-to-face interaction with our professional industrial hemp cultivator located here in the United States.